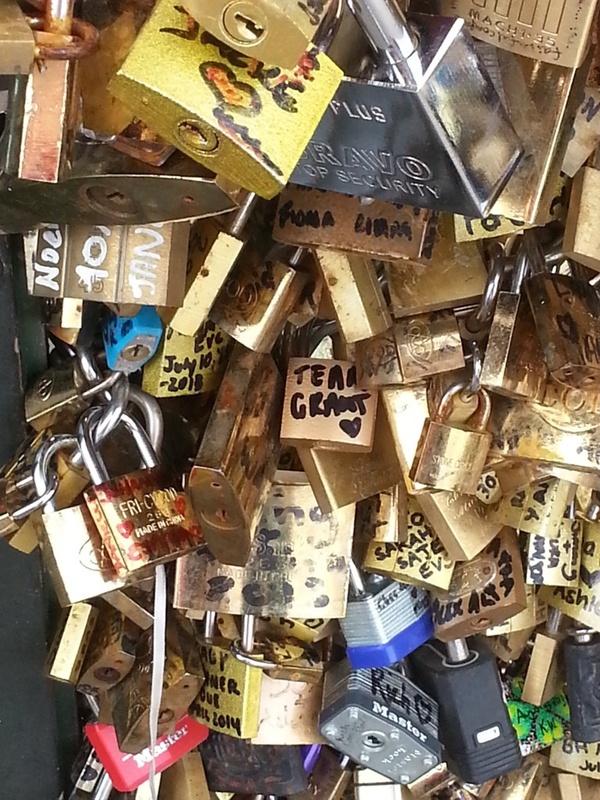 community, French., frugal, language, skills, thrifty. – Swap shops. In my area we have a regular clothes swap shop, allowing us to take along unwanted items of clothing and swap them for different ones. The ultimate in reusing and recycling, and will give you a fuzzy feeling inside. Assess your skills – what can you offer? Do you know a language? Can you work a sewing machine? Can you cook? Garden? Clean? Once you have worked out what you are good at, you have two choices: sell your skills to make some extra cash, or swap them. There will be someone out there who wants to weed your garden for a couple of homemade lasagnes, or a retired home economics teacher who will teach you how to sew in exchange for an iPad tutorial. A wonderful side effect of this kind of interaction is a sense of community and shared responsibility. We are all terribly guilty for living inside self sufficient nuclear bubbles, refusing to ask for outside help lest we seem weak. Embrace the skills and help of others and use yours to help other people! My French skills are very rusty, and for ages I’ve looked into classes and then decided that they are too expensive for me to justify. In the spirit of skills swapping I posted an ad on Gumtree, advertising my English language skills in exchange for some native french conversation. I’ve met three lovely people this week, all have been exceptionally grateful for my input and my conversational skills have improved dramatically. For free! Have a think. What skills could you swap? Apologies for the absence, it’s summer hols here and we have been too busy having fun!!! This recipe is a winner. I buy turkey fillets or a breast which are cheap compared to chicken, and very often I will wait until I see one reduced and buy that especially for this recipe. Cook off some rice. I have never measured, but a fair whack. A little more than you’d cook to accompany a curry or chilli for 4/5 people, give or take. Let it cool. Pop some turkey meat (whatever you have bought, I usually have 1-2 fillets), à bunch of fresh coriander and two eggs into a food processor and blitz into a disgusting looking paste. Then, in a large bowl, mix your cooled rice with your disgusting paste. Add a heaped tablespoon of turmeric and ground cumin. Season with salt. Mix again. Preheat your oven. Then, on a medium heat add a splash of oil to a large pan. Take a little of your mix and cook off, and taste. Get your seasoning right before you make twenty burgers! When the seasoning is right, squeeze handfuls of mix into patties and gently fry off, turning as you go. When they are golden brown all over transfer to the oven to cook through. Repeat this over and over until your mixture is all gone and you have a warm pile of fragrant rice patties. These are ace for lunchboxes and picnics. We often have them with salad as a summery tea too. Using a cheap meat and inexpensive rice males this very good value. 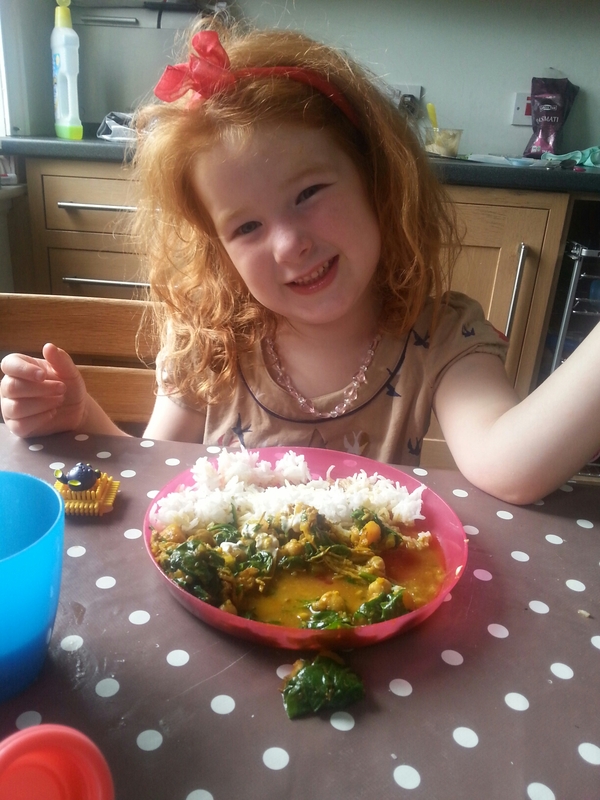 Kids seem to love them too, they aren’t spicy and they can eat with their fingers! 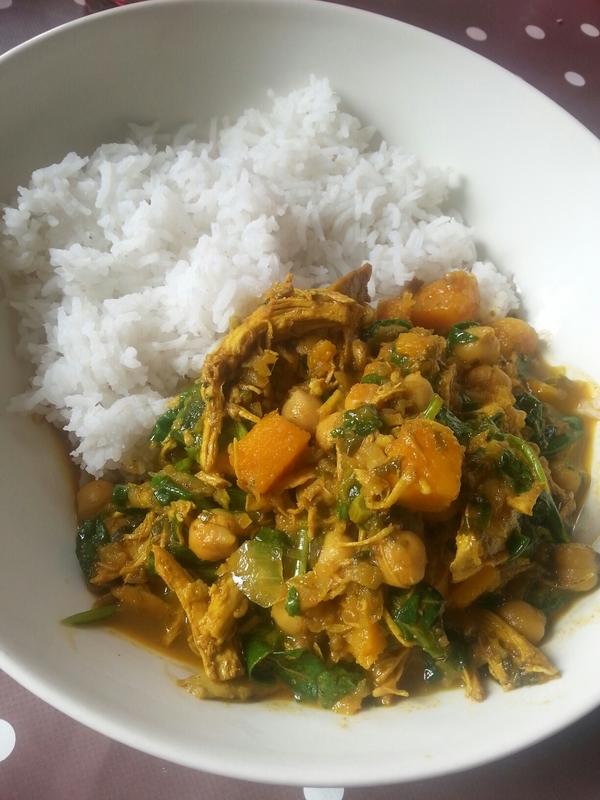 Chicken, chickpeas, curry, frugal, recipe, spices., spinach, squash, thrifty. This is one of my 7yr old’s favourite teas. He is not a big meat eater, and my frugal ways of stretching the stripped meat from a roast chicken ensures that there is more veg than meat in this dish. When I roast a chicken and strip the meat, I aim to make three meals out of the results; this definitely uses less than a third. First you will need to make a curry paste of sorts. I add a teaspoon of each of these spices to olive oil: ground cumin, cumin seeds, coriander seeds, turmeric, milk chilli powder, fennel seeds, garam masala. 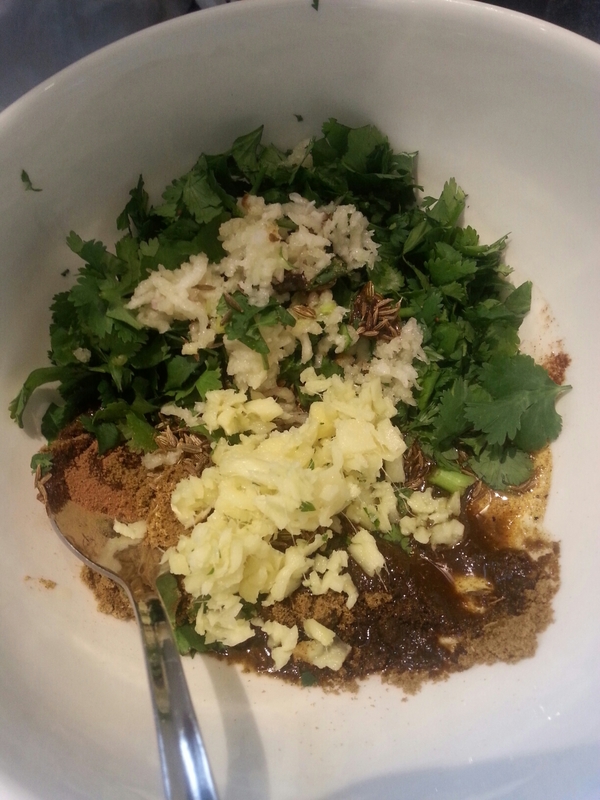 Add two garlic cloves, fresh coriander and a thumb of fresh ginger. Pop them all in a processor and blitz to a paste. I realise these spices are many, but it is worth the investment to stock up on spices for your cupboards. They make store cupboard ingredients sing. Buy one a week until you have all the basics. So, in a pot cook off your paste, a good tablespoon worth. 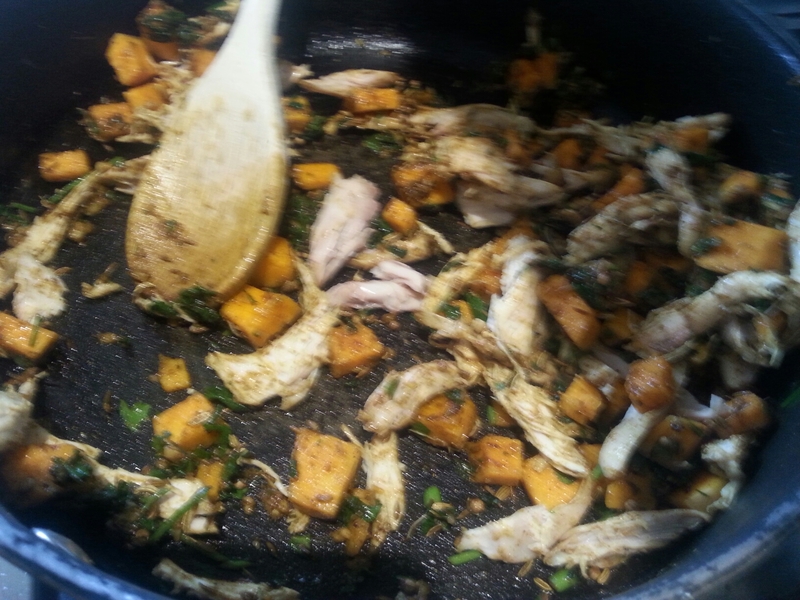 Add your cooked chicken meat and some diced butternut squash. A 400g drained tin of chickpeas. A 400g tin of coconut milk. A squeeze of tomato puree. A splash of water. Season with salt. Let this blip for a bit. I then blitz an onion or two into a paste and add it to your sauce, it will really thicken it up. When you are ready to eat, take off the heat and add some good handfuls of spinach leaves. Let them wilt in the sauce’s heat and then serve with basmati rice. This generously serves five. If you buy your chickpeas and coconut milk from an Aldi/Lidl, or a world good supermarket, it will bring the costs down enormously. With cheap tins and store cupboard spices, this costs less than 90p per person including the rice. 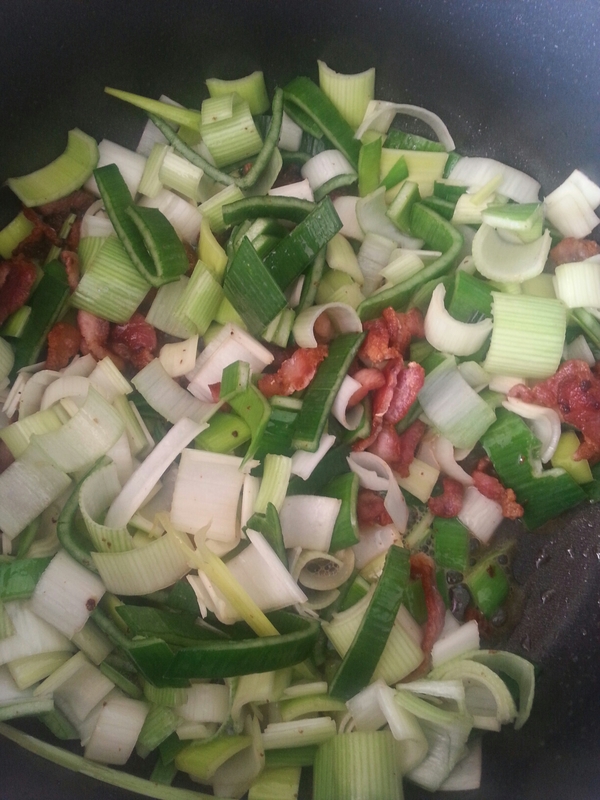 bacon, frugal, leeks, pasta, recipe, soft cheese, thrifty. 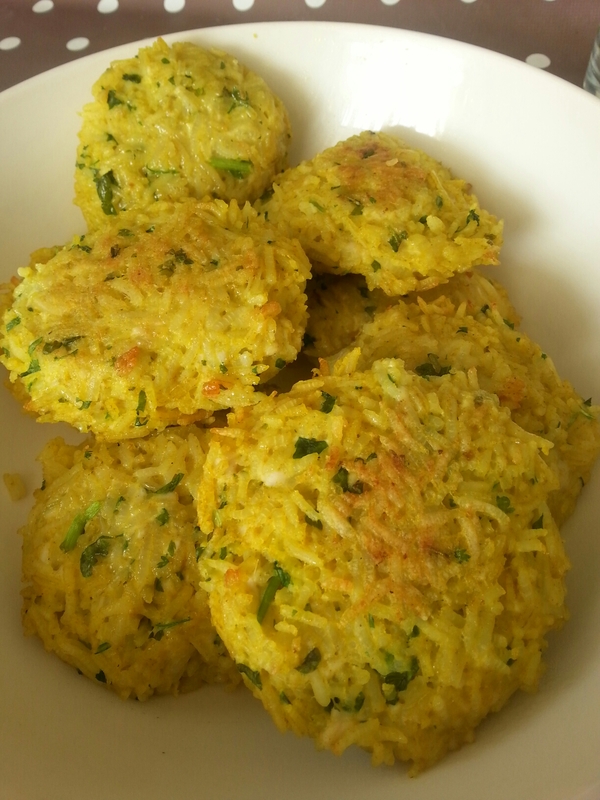 This is a recipe from BBC Food and that I’ve modified slightly so that we use less meat and thus bring the cost down. -Streaky bacon (cheaper than its back bacon counterpart, and packs a flavour punch so you can use less). I use three slices but you could use more or less, budget depending. -A large leek, or two small. Put your pasta on to cook, as per instructions, and then cook off your sliced bacon in a little olive oil. You want it to crisp up and deepen in colour. Add your leek; chopped, sliced and washed. Let it all cook through together. Add a 200g tub of cream cheese and a good splash of the starchy pasta water. Season with black pepper (no salt, the bacon will take care of that). If you want to up the veg count, add some frozen peas or sweetcorn to your pasta when almost cooked. Once your pasta is done, drain off and quickly add to the sauce. Give it a good toss, so that all the penne quills are coated in the glossy, creamy sauce. 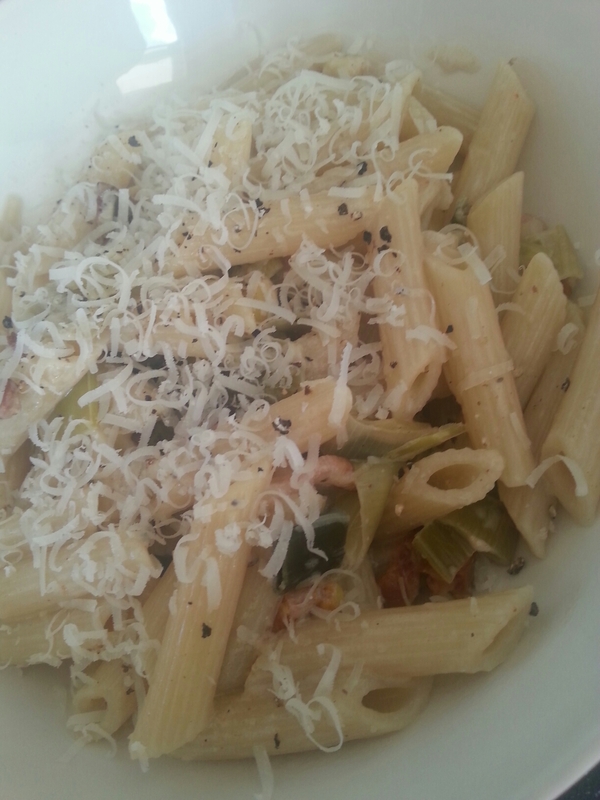 If you have a jar, a few sundried tomatoes sliced up make a wonderful addition to this pasta dish. Not exactly a budget item, but it is frugal as you need very little to go a long flavour way. Good quality parmesan also falls under this category, and will finish the pasta off beautifully. I totaled up the cost of this dish and came up with the following estimate. So, in total it cost £2.96 to make (a few more pence if you used sundried tomatoes), and thus 59p per person. Cheap cheap cheap. gardening, home, House, interiors, plants, thrifty. I don’t know about you, but I feel happier about my home when it is filled with flowers and plants. It makes such a difference to the feel of a room, and the air quality benefits enormously from living plants inside your home. But they don’t come cheap. Especially cut flowers, they are an expensive luxury. And too many house plants have been purchased and then perished for me to throw much more money after inevitably dead leaves. 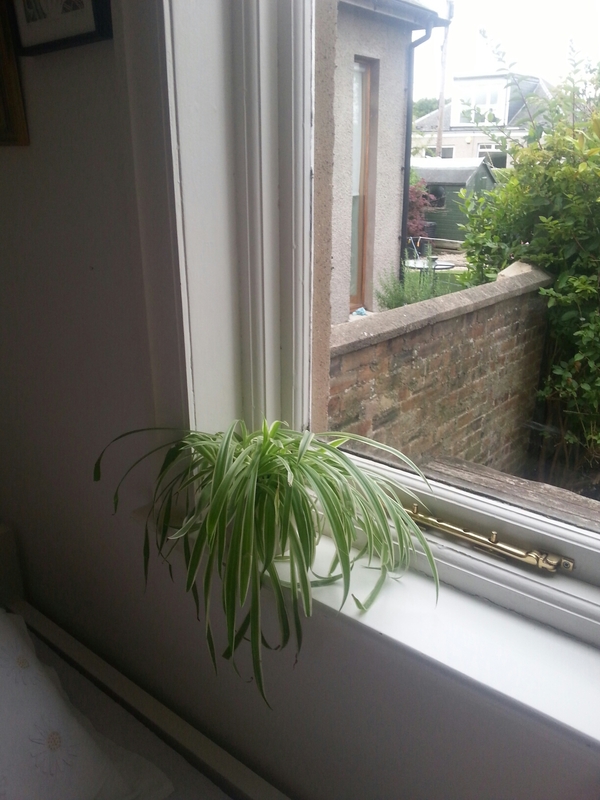 To this end, I have started a little spider plant nursery on my kitchen window-sills. Spider plants are excellent – they are almost impossible to kill, grow quickly and are very easy to cultivate. I take the little offshoots and cultivate them until they can be planted in their own pot. 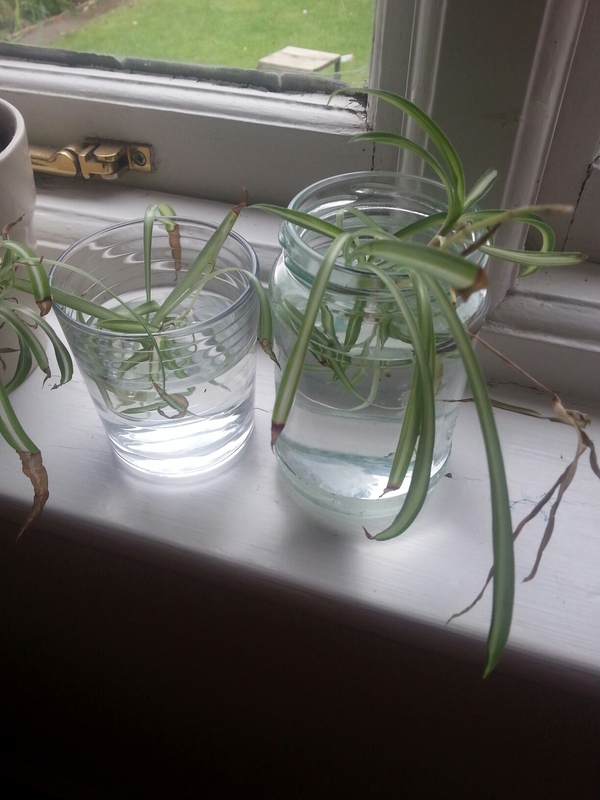 Once cut, I keep them in little glasses of fresh water until their roots begin to grow. And before you know it, voila. 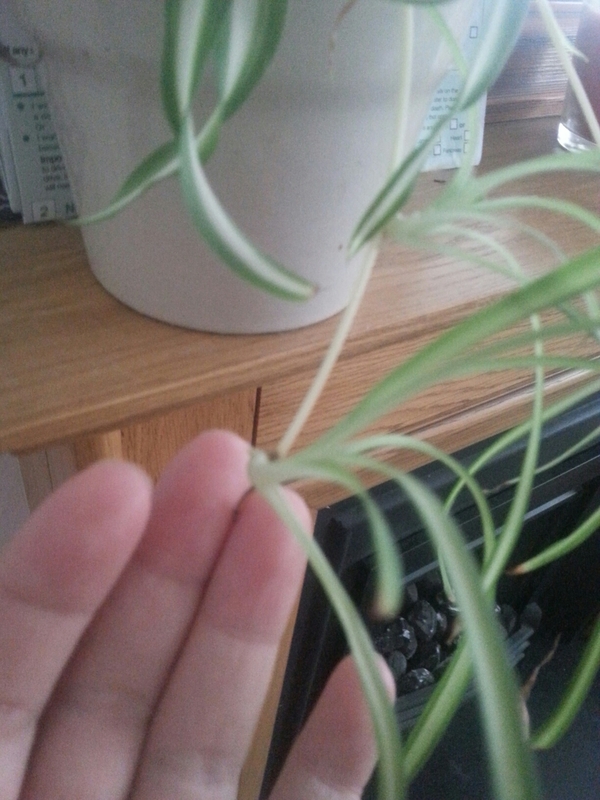 I have spider plants all over my house. All grown from one or two original plants. The pots can be picked up super cheap at car boot sales, charity shops or even IKEA. Mismatching plant pots and lovely green sprouting leaves add such character to your home, and for such little cash. This won’t feed your family, but it will help improve the air quality in your home and look lovely for very little money. 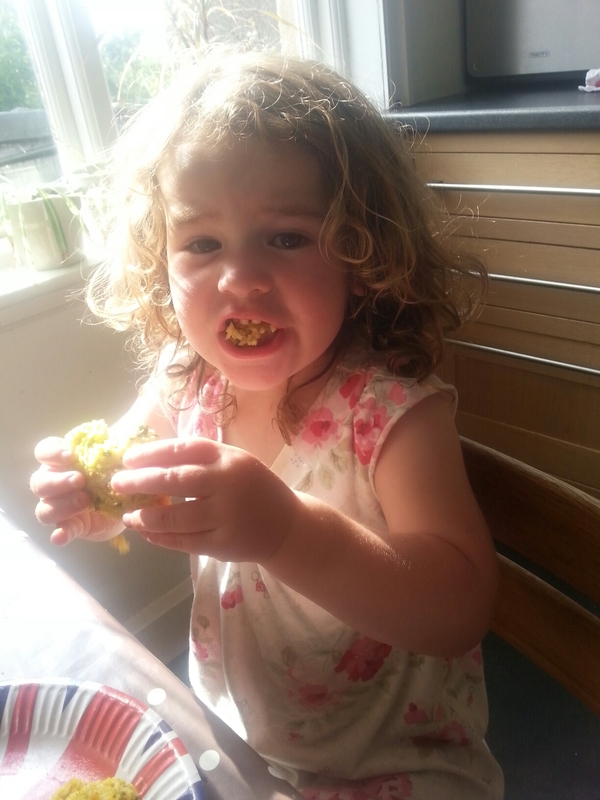 As an aside, if you have a child like my youngest, a child happiest when pulling the flowers off the plants in the garden, then I suggest that you keep a stock of clean jam jars in your kitchen. These work wonderfully as mini vases, hastily filled with the flowers she has stolen from my poor plants. They don’t last long, but it brightens up little corners of our house for a couple of days.